In aviation, the term 'attitude' refers to inclination of the three principal of axes of the aircraft in flight; Pitch, Roll and Yaw. Using that definition and evaluating the A9 on three principle axes of photography—Focusing Speed, Frames Per Second Speed, and High ISO/Low Light Capabilities—this camera dominates. In my opinion, it’s the F22 Raptor of cameras. 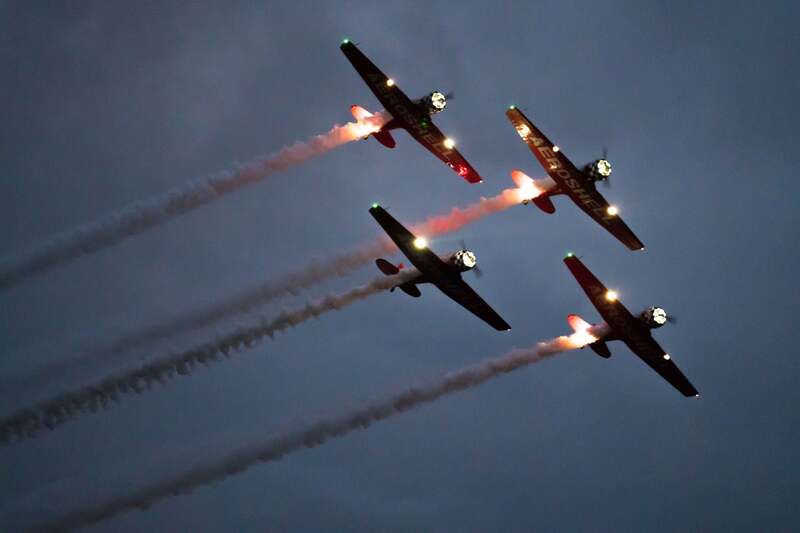 Though I have been to and photographed other airshows, Oshkosh is the Mother-Of-All-Airshows. Oshkosh 2017 was attended by some 600,000 people this year including fellow Sony Artisans Jeff Berlin and Dennis Biela as well as the Eyenamics duo, Amber and Garrette Baird. At the show, I had my new Sony α9 in hand and I wanted to push the camera's capabilities. I’ve been using the α9 professionally for weddings, engagements, various other shoots. 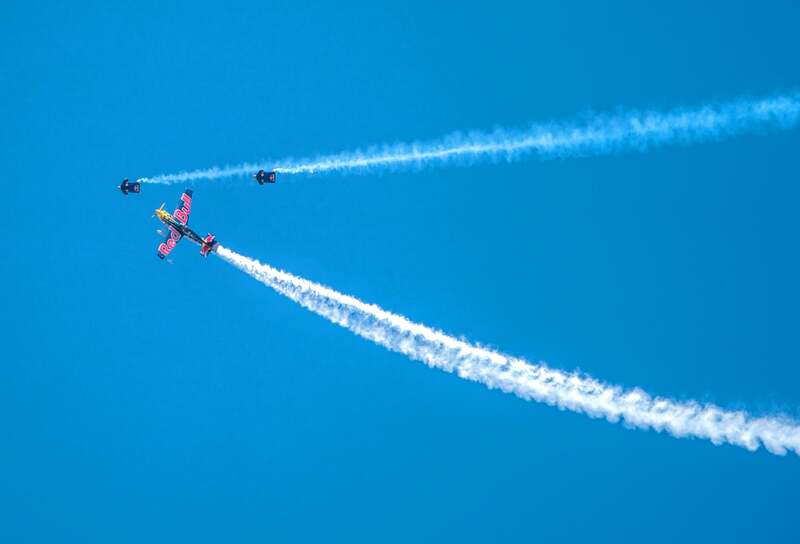 At Oshkosh, I would be putting its speed to the test and also seeing how the new Sony 100-400mm f/4.0-5.6 G Master lens performed on the α9. How did it do? In short, the camera continues to impress me. It’s the best camera I have ever used. This image is my favorite from the three full days I spent in Oshkosh. 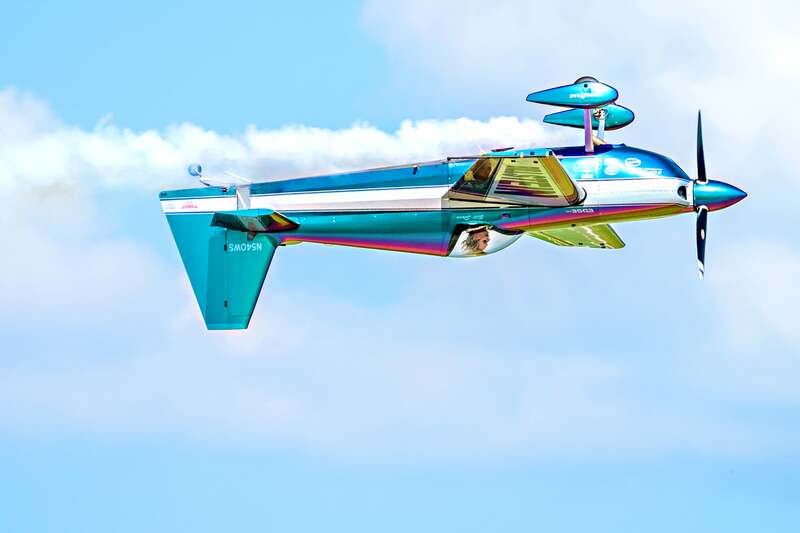 This is aerobatic pilot Bill Stein flying his Edge 540. You would think from the clarity and perspective that I’m in a chase plane flying next to him, but that would be wrong. My two feet were planted firmly on the ground! I was shooting with the α9 and the new Sony 100-400mm f/4.0-5.6 at 400mm, 1/2000-sec., f/5.6 and ISO 250. The lens is so sharp you can see Bill’s reflection on the wing! This is the perfect lens for airshow photography or any action photography where you want to get close when you need or zoom out for a fairly wide perspective. I was excited about photographing the night-time airshow where the planes are decked out with extra lighting and fireworks on the wings. I wanted to see what the α9 could do in these extreme conditions; the planes are moving at high speeds and there’s limited light. Even at night, the Sony α9 exceeded my expectations. to make sure I froze the planes and still had some blur in the propellers, I shot with the G Master 70-200mm f/2.8 wide open at f/2.8 and shutter speeds between 1/400- and 1/500-sec at ISO 10,000. 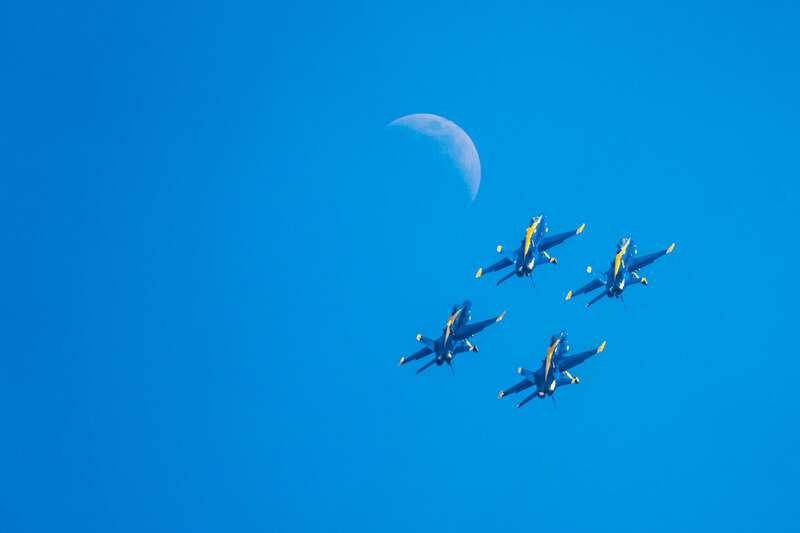 To get this photo, I was shooting the α9 at 20 frames per second as the Blue Angels were passing in front of the daytime moon high in the sky. At 20 fps, I was able to capture a single frame that had the exact composition I wanted with the Blue Angels and the moon. That’s pretty impressive, if you ask me. I also shot images with the α9 and the 70-200mm f/2.8 G Master with the 2X teleconverter. That gave me about a 140-400mm (396mm according to the EXIF data). Much like the upside down image of Bill Stein’s plane, you get the same perspective here. 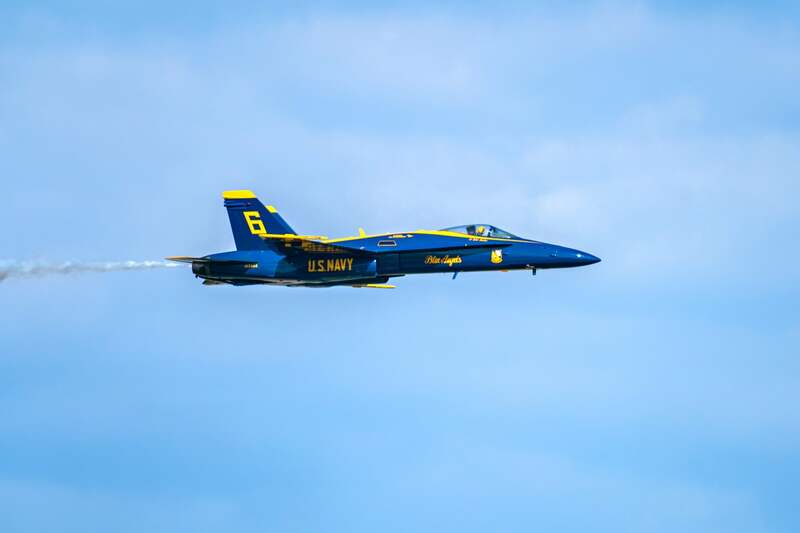 It’s as if I were flying in Blue Angel number 5, however, I was planted firmly on the ground, operating my α9 at 20 frames per second. My camera was shooting at Mach speeds, instead of me flying at them. This is another favorite image from the show. 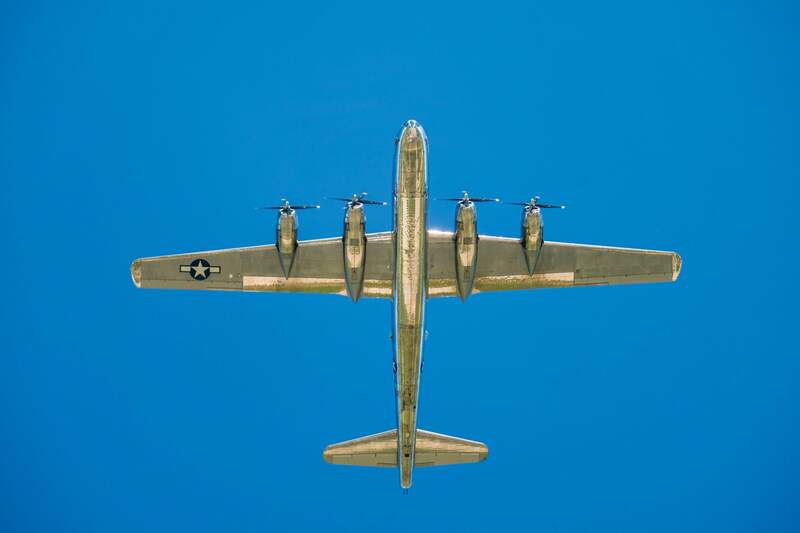 I like the simplicity of this silver B29 Bomber against the bright blue summer sky. The 1/1000-sec. shutter speed freezes the four propellers, giving the illusion this majestic war bird is floating in midair. The composition helps make this work as well. If you love aviation and you’ve never been to Oshkosh, push this to the top of your bucket list and make 2018 your year to go. You'll have a blast photographing the most amazing display of aircraft in the world. 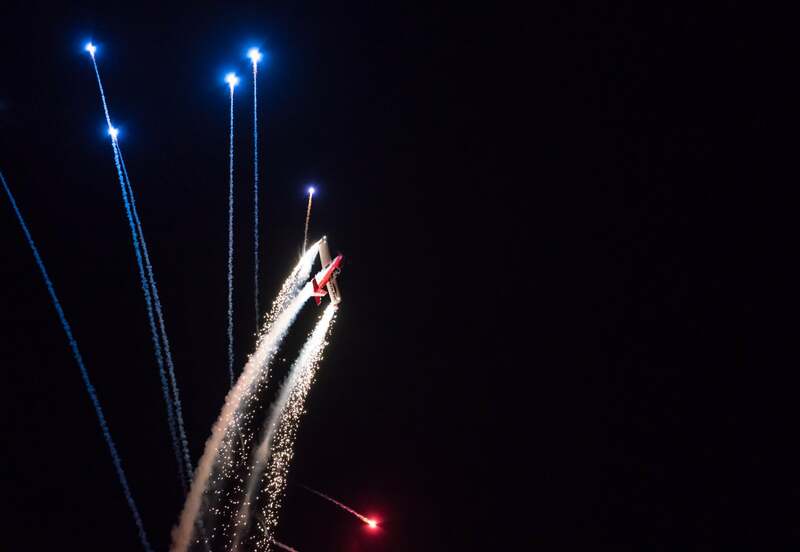 With airshows daily during the seven-days of Oshkosh, there’s plenty of action in the sky to photograph. Camping is a great way to go as you get to be right on the airport grounds with easy access to the field. Hotels are hard to come by, so if you need a bed and a shower you better book now! “Now” as in as soon as you’re done reading this sentence. See you in 2018. 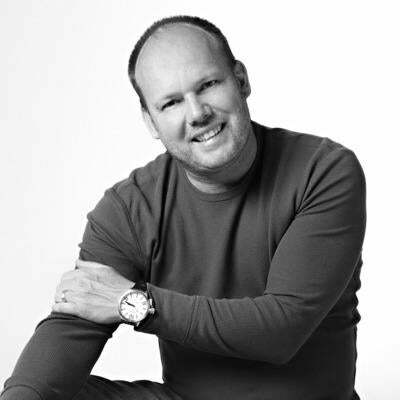 Robert Evans is a Sony Artisan Of Imagery. See more about him here and follow him on Instagram @robertevans. Does the α9 with 100-400mm GM Stay on Track at the Track?